Debt and credit are linked and dangerous for consumers. 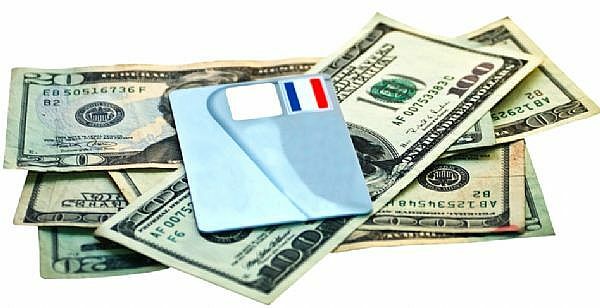 It is so easy to build up debt through credit cards. Don’t forget other personal loans along with car loans and mortgages. There seems to be no end of credit available to consumers. Credit cards are one of the worst. Every week we seem to receive a free application for a credit card. Or we are at a store and they are trying to persuade us to sign up for the store credit card. Debt is money you have already spent and owe to someone. For many consumers this usually means credit cards. 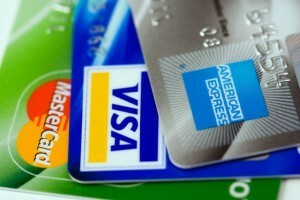 Some consumers will have as many as six or seven or even higher number of credit cards. Each of these credit cards has a Credit card debt limit. This is the amount of money that you can charge to the card. Let’s assume a round number of $5000 that can be charged to each of these credit cards. If you have six credit cards. As a result that could mean if they’re all charge to the maximum a total debt of $30,000. Each one carrying an interest rate of 18% or higher on any unpaid balance. Credit is money that is not yet spent, but some companies, usually credit card companies will approve a credit card in your name with virtually no checking. Most people use a credit card and pay the balance on the statement due date each month. Subsequently the Credit card company will often increase the total limit on the card by a few thousand dollars. Next thing you know you have a credit limit that is much higher than when you signed up. Credit represents potential debt and this is where the number of credit cards that you hold can really affect your overall credit rating. 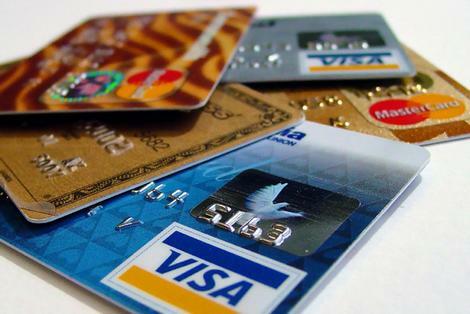 Even if you do not use the cards and have them only for emergencies, if you have many cards with high credit limits this represents potential debt that credit rating agencies take into account. lower your total potential credit limit. It could take up to six months to a year for this change to be reflected on your credit report. It may be frustrating to learn that cancellation of a credit card may take as long as a year to be reflected on your credit rating. At least you’ve taken the right step to manage your debt, your potential debt and your credit rating. It will pay off in the years to come when you apply for a mortgage, a Car loan, or a personal loan for renovations to your home or some other expense. The benefit will be in lower interest rates. This means lower overall cost for borrowing money and an easier application process. With an excellent credit rating you should have no problem in applying for and being approved. The personal loans or mortgages should be at very competitive interest rates. Many consumers are struggling with debt. Consumers are paying the mortgage payment, and taxes, or rent, a car loan and probably some credit card debt. The monthly payments compared to their income is often above 35%. This is the number the banks use to determine whether they can add further debt to your monthly payments and still be risk-free or relatively risk-free. What to do about the money you owe when it gets difficult to deal with? When you get about 35% in terms of debt load, it starts to impact the food that you can put on the table, the clothing that you can buy your kids and many other entertainment style expenses. Consumers finally need to cut back. They have choices regarding what to do. These choices are sometimes difficult. However there are financial solutions which can lead to improve the loan situation and more money to enjoy life with. We will discuss some of these in the following paragraphs. They can continue as is and just keep struggling along paying more loan payment than they can afford and also cutting back on food, clothing and utilities. Ultimately they will default on their debt. They can default on their debt. 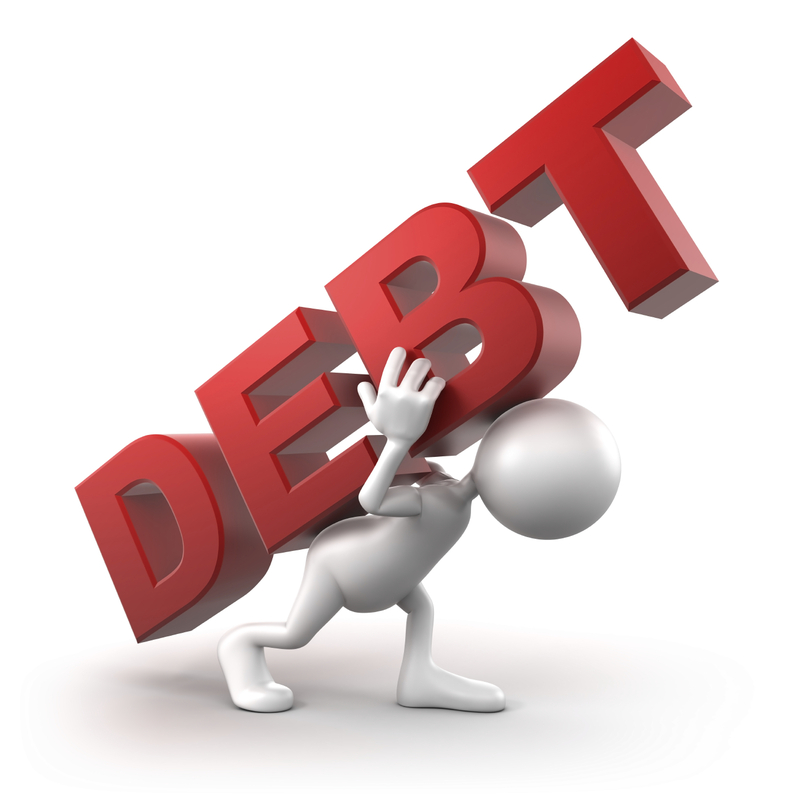 When you default on your debt, there is a severe hit to your credit rating. You end up with a bad credit rating and in most cases cannot borrow money for at least seven years. This means no car loans, credit cards, no other personal debt. They can negotiate with lenders. This is probably one of the best solutions and that is to talk to your lenders and negotiate a solution that is a win-win for both of you. The lender wants to make sure that he gets paid, you need some relief from your payments and as long as you’re both willing to work towards a solution you can get your loan payments under control. They can refinance their debt. Part of the discussion with your lender is that it could lead to a solution of refinancing all of your loans. This could lead to a lower interest rate, and lower monthly payments which allows you to get control of your loans and also continue to put food on the table and clothes for your kids. Always consider refinancing your debt particularly if you’re paying high interest rates on debt such as credit card debt. Then focus on repaying the highest interest rate debt first. You will reduce your interest cost significantly when this debt is paid and also a significant drop in your monthly payments if the highest interest debt is paid for first. Consumers can do a combination of all of the above. Except default on the debt which would really impact their credit rating! Taking positive steps towards managing your debt and demonstrating this to lenders will go a long ways to managing your credit rating. 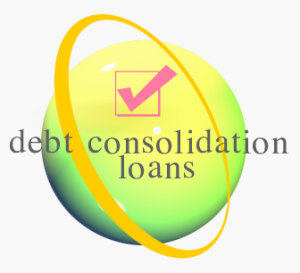 Keep it at a level that allows you to borrow consolidation loans at reasonable interest rates. Deal with the your loan situation quickly. Do not let it get out of hand otherwise consumers will be faced with a bad credit rating and high interest-rate loans if you can get one. For more posts about what to do about debt and what to do about it, click here. The amount of debt or loans that you are carrying at any time may affect your credit rating particularly if you have other loans, mortgage, or a number of credit cards that you have. You have to take into account all of the debt and loans that you currently have. Include the monthly payments associated with these loans to calculate whether you can afford the new debt or loan. It may sound complicated. However it is pretty straight forward as we will explain later in this post. If you have an excellent credit rating, most banks and lenders will approve a new loan. Provided that the monthly payments are no more than 35% of your cash flow. The number used to calculate this 35% includes your mortgage payment. It also includes all of your credit card payments, and all of your current loans. They will also include the new debt or loan that you may be considering. If you only have a mortgage, perhaps a car loan and a couple of credit cards the calculation is pretty straight forward. Consumers can calculate their debt ratio by adding up all of the monthly payments associated with all of the debt that they have. Include the mortgage payment and the taxes on the property. Lenders will also look at your credit cards. They will assume a full balance on the credit cards along with the corresponding monthly payment to obtain your total monthly payment. This total monthly payment is then divided by the amount of money you and your spouse earn each month. If the ration is higher or close to 35% you may not be eligible for the loan. Lenders at banks are not risk takers. This is a clear sign to them that you are a poor risk and they will turn down the loan as a result. If you rent you should add your rent payment. Once you have this total divide the total payments by the income you make on a monthly basis. This would be the gross amount of your paycheck for the month. Lenders want to make sure that you are able to pay for all of your regular living expenses which includes rent if you happen to rent a place instead of paying monthly mortgage payments along with property taxes. The ratio should be 35% or less for an excellent credit rating. Many people will suddenly find themselves over the 35% level and they wonder how they got there. The debt level kind of sneaks up on them. Suddenly they realize they cannot get approved for a personal loan or even a mortgage on a home. By the time they pay the rent, the car loan, the payments on their credit cards, they are suddenly over the limit. In terms of being able to borrow additional money they are stuck. This is a difficult situation for many people who want to buy a house, buy a car or even consolidate all of their debt into one loan. The advantage of consolidating a lot of debt into one low interest loan is that the consumers generally pays less interest. The payments are sometimes spread out over a longer period which improves their overall cash flow. It allows them to get well under the 35% we discussed earlier. There is more money to pay for other monthly bills such as groceries and utilities etc which makes life a lot more comfortable. Avoid charging up the credit cards again. You will be able to pay these loans off and improve your life even more. Dawn and Chris Harrison said their debt problems got worse after Dawn fell ill three years ago. They are facing bankruptcy. Job insecurity, unexpected costs and mounting debt are leading thousands of families in the Ottawa area to consider bankruptcy as an option to their financial issues. Chris and Dawn Harrison, felt that it is an option that should be considered very seriously and thought through before taking this significant step in their lives. Chris Harrison earns around $80,000 as an IT analyst a year but has had trouble keeping his family above water financially due to unforeseen circumstances. They were losing $1,000, $1,200 a month just in daily expenses that were needed to keep the family afloat. Now you might think that they made some bad financial choices or lost a bundle on the stock market. It is far from this case. Three years ago Dawn Harrison was diagnosed with Fibromyalgia. The former ICU nurse had pain so severe she said she had to crawl up the stairs. This sickness has been draining their savings and taking all of their income. There were 2,621 bankruptcies in Ottawa-Gatineau for the 12-month period from July 2011 to June 2012, but also 1,556 proposals, many consumer proposals. Consumer proposals are when an individual with debt puts together an offer through a trustee in bankruptcy to pay creditors a percentage of what they are owed over a fixed period of time. Consumer proposals allow debtors to avoid some of the worst conditions of bankruptcy, including the requirement to surrender all credit cards and disclose all assets. In hopes of getting her better faster, the family paid for drugs and physiotherapy that went beyond their health coverage. In Ontario, OHIP has limitations on what they will cover and will not cover from a medical perspective. This was the catalyst to the downward spiral we’re experiencing now,” said Dawn Harrison. Compounding their problems, the Harrisons purchased an SUV and a new trailer, just before Dawn got sick. They’ve had the items on the market for sale for two years, but there have been no takers. The couple is now $35,000 in debt, not including their mortgage and vehicles. The Harrison’s do not want to risk their kids’ future. They are doing everything they can to avoid bankruptcy and make ends meet. The Harrisons said they are borrowing from family and trying to cut costs. They believe there is light at the end of what could be a long tunnel. This is truly a sad situation and illustrates why we all must have an emergency fund available. Sometime you will have to deal with issues of sickness and layoffs that prevent us from earning our income. 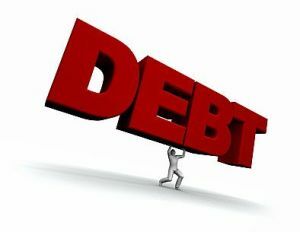 For more posts about what to do about debt, facing bankruptcy and what to do about it, click here. Debt management is playing a large part in everyone’s life these days and if they have not made the right decisions, their debt is going to cause huge problems for them in a couple of years. The act of managing your debt is making sure that you always can pay your debts in terms of meeting your monthly obligations or payments. It means that when interest rates change you have already taken this change into account and have planned for it. Be proactive and do not wait for problems to start. If you wait they are usually going to be much worse than they need to be. As we write this post the Federal Bank in the US is suggesting that interest rates will rise soon in the next year or so as the economy improves and worries turn from a bad economy to one of inflation. The Canadians are also saying the same thing about their economy and that they plan to raise interest rates sometime soon. Neither will give an exact date since it really depends on what is happening in the economy. Most bankers will take steps to control inflation and the single way they can do this is to raise interest rates to make it less attractive to borrow money and this has the impact of decreasing spending. Fewer people are buying products and services so prices stop rising or perhaps even decline a bit. Consumers also take on less debt at times like these. If you do have a lot of debt now, you could still be ok, if your interest rate on this debt is locked in for a few years. With a mortgage that has another 4 years on its term for example, you need not be concerned about interest rates going up in the next year because yours will stay the same. On the other hand if your mortgage is going to be renewed in the next year or so, then almost certainly your rate is going to increase and your monthly payments will also increase. If you are managing your debt you have already taken into account that the payments are going up and have a plan to deal with this increase. There are several solutions to managing debt in situations where interest rates are rising. We will cover them in the following paragraphs. Avoid More Debt – the first one is the obvious one. Just avoid taking on more debt. Keep your debt low and avoid loans for the toys we all want, the 2nd car, the boat etc etc. when interest rates do rise you will be less effected than others who have lots of debt. Salary Increases – either by receiving promotions, salary increases, both spouses working or by taking on second jobs you find the money to pay the extra payments when interest rates rise and your monthly payments also go up. This is approach has a big impact on quality of life if you take second jobs and you cannot be sure of the salary increases. As well what would happen if one of you lost a job? 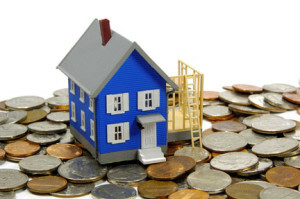 You can save some money when there are interest rate increases and renewal of your mortgage. Use spare cash to pay down the mortgage and recalculate your monthly payments. If interest rates increase it will drive up your payments. The additional payment on your mortgage will bring the monthly payment down. If you have done your homework, the new payment will be very close to the old one. Pay Your Mortgage More Quickly – most mortgages and all personal loans allow for extra payment once a year. The effect of making these special payments is that you are paying more principal with each payment and decreasing the life of the mortgage as well reducing the total of what you owe. At renewal time you can often keep the same payment that you had even though interest rates have gone up. Everyone’s situation is different. We have covered a couple of suggestions in the preceding paragraphs. The important step to take is to assess your own situation, analyze the impact of an interest rate increase on you and your family and then evaluate solutions that will allow you to maintain the quality of living that you are currently enjoying. It takes a bit of work but then what doesn’t especially if there is value at the end. Get started on debt management today. Collection of debt is something that most people really do not ever want to have to deal with. 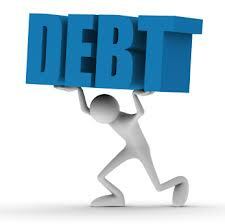 Debt collectors specialize in collecting debt from people who have been unable to repay their debts. Or perhaps have decided that they have other priorities. Once a loan has gone for several months without the monthly payment being received it can be quickly turned over for debt collection. As a result next thing you know you are getting these obnoxious phone calls asking for money. These people are really not nice. They will give you a difficult time until you pay up. They will harass you until you at least make a plan to repay the debt. The debt collectors only make money when they collect. Debt collectors can also come after people who have a payment that they should have paid and for whatever reason have missed the due date. For example, failure to pay your hospital bills, x-ray charges etc. These can also trigger these kinds of calls and nasty letters in the mail. Depending on the size of the debt, whether it is secured or unsecured, debt collection will take various forms. They may be quite troubling to many people. For example let’s assume you purchased a car and took out a loan when you bought the car. The loan would have been secured by the car that was purchased. If you decide to miss payments on the car loan, debt collection may start with phone calls. However they then gradually proceed to more drastic action. At the worst point after all negotiations have finished, if in fact there are negotiations, the debt collection process will move to a point where they move to repossession of the car. Basically this is the last resort. The lender needs to repossess the car in order to sell it. They use the proceeds to recover the loan and all fees associated with the cost of the loan and repossession. Don’t ever allow your debt situation get to this point. Take action and pay your monthly payments. Also talk to the lender to negotiate or renegotiate the loan. Car loans are bad enough and no one certainly wants to lose their car and have it picked up in the middle of the night by a tow truck because they have not met their monthly payments. But what about your home? Many people over the last four years have been dealt a blow from the economy, losing their jobs and barely finding enough money to put food on the table, let alone pay the mortgage every month. When you are not working and unemployment runs out and your savings run out, most people will try to sell their homes to get out from under this crushing debt. They will move into apartments or back with their parents. Unfortunately, the housing market also fell and it fell big time. Homes were worth half of what they used to be and the mortgages on these homes were higher than what the home was worth. Even if the home was sold, there was still a mortgage that had to be paid. Collection of debt became really complex. How do you collect from someone who has lost their job and has no assets? The banks were in trouble now and this is where the government stepped in and bailed them out, but they did not bail out the little guy. Consumers all over the US still owed debt and they had to way to repay it, so they declared bankruptcy and walked away from everything. We have seen homes that still had all of the furniture in them, clothes in the closet, even food in the fridge. One home had a wine rack still full of wine bottles, none of which were very expensive. These people have no assets left and collection of debt is impossible with these consumers as well. It can take several years for the shadow of bankruptcy to be lifted and depending on the circumstances you may still owe money as well. It is a decision not to be taken lightly and should be discussed with a bankruptcy lawyer. Your credit rating will be nonexistent and you will not be able to obtain a loan for any personal loans or mortgages. You may not even be able to obtain a credit card for some time. These are difficult times and everyone wants to avoid debt collection and bankruptcy at all costs. There are many different kinds of loan debt that consumers can consider when thinking about applying for a loan. The easiest debt to take on is credit card loan debt. Just apply for a credit card. Unless you have something seriously wrong with your finances, you will be approved. After you have paid your monthly payments for a few months, they will increase your credit card limits. Usually without even asking. In some cases you do not even have to apply. The credit card companies will send you an application telling you that you are already approved. You just need to provide all of your personal information. We have purchased furniture from department stores several times. They have asked us if we wanted a credit card with them. I usually say no. However several times they have offered a 10% or 15% discount if we apply for an are approved for one of their store based credit cards. Everything is automated and the credit cards is almost instantly approved on the spot. They take this approach because they know that a large percentage of people will carry a balance past the due date of the first payment. They end up paying a large amount of interest. Credit card loan debt comes with very high interest rates. From 18% to 28% which is very expensive. The next best loan debt are unsecured personal loans. These are provided to consumers with good credit ratings at competitive rates that are much lower than credit card interest rates. Secured personal loans are loans with collateral against them which means that you have a better interest rate than unsecured personal loans. You must have equity in your home or car that you can pledge to the lender in order to be approved for a loan debt of this type. Mortgages are loans that have a much longer term than personal loans and are usually much larger as well. Their terms are often 25 years or more in some cases. The mortgage is secured with the value of the home that it is placed on. Mortgages in Canada cannot be longer than 25 years by law to protect consumers from long mortgages with interest rates and monthly payments that suddenly rise. A shorter term also pushes up the monthly payment and many consumers cannot qualify for a mortgage because of the high monthly payment. The security of the building allows for a very low interest rate to be assigned and low monthly payments due to the longer term of the mortgage compared to personal loans which may have a length of 5 years. Save as much as you can by selecting loan debt that has the lowest interest rate possible. Consumers can save thousands of dollars in total cost of their loans by choosing personal loans compared to credit cards and negotiating lower interest rates. Loan debt should also be paid off as quickly as possible. This will minimize the total cost of the loan and to improve your monthly cash flow. Not having a monthly payment to be concerned about can make a huge difference in monthly cash flow. This is our first post about debt and how to deal with debt. We will be covering all types of situations that people find themselves in and how they may be able to deal with it. In addition we will take situations , all fictional, of people who are looking for various kinds of loans and mortgages and describe how they can approach their situation, improve it and find the funds they need to manage their debt. We hope that all of this information will be helpful to readers. We plan to issue a post twice or more a month so stay tuned for more posts on this important subject that affects everyone in the country.